Green Hills Antique Market. Route 568. Ample parking. Antiques, furniture, lots of country collectibles and primitives, Victorian era items, vintage clothing and jewelry, coins, dolls, toys, glassware, china. Great all around selection of booths here. Food available, restrooms, h/a. (717) 856-7034. Fairgrounds Flea Market. Fairgrounds. Ample parking. Antiques, collectibles, primitives, Amish and farm collectibles and crafts, packaged food goods, used merchandise. Snack Bars, restrooms, h/a. (610) 433-7541. Lebanon Valley Antique Depot. 1251 E. Main Street. Highway 422 East. Antique Mall and flea market. Antique mall is open daily, 9-5 and flea market is open Sat & Sun 9-5. Approx 160 antique dealers in mall. Market is heavy on antiques and collectibles. Air conditioned. Ample parking, h/a, restrooms, café. (717) 867-4400. Crown Flea Market Route 6, Scranton-Carbondale Highway Exit off I-81 Archbald, PA 18403 (located at the old Sugerman's building). The number for it is 570-237-5260. They sell antiques, books, collectibles, crafts, body jewelry, furniture, jewelry, novelties, toys, and more. they are open Sat and Sun 9AM-4PM and usually open on July 4th for fireworks as well. Hi-Way Drive In Flea Market. Hi-Way Drive In Theater. Ample parking. Collectibles, used merchandise, garage sale items, farm items, packaged food, clothing, childrens items, housewares, crafts, produce. Snack bar, restrooms, h/a. (717) 874-1719. Belleville Flea Market. Belleville Livestock Market. 655 S. Penn Street. Ample parking. Antiques, collectibles, used merchandise, bric-a-brac, used merchandise, home furnishings, household goods, electronics, gifts, farm items, tack, produce. Food available, restrooms, h/a. Great old time country atmosphere here. Market open on Tuesday and Wednesday during summer months. (717) 935-2146. Pennsbury - Chadds Ford Antique Mall & Flea Market. 640 E. Baltimore Pike. 19317. Two level facility, upper level open 10-5 Thursday through Monday. Lower level open 10-5 Saturday & Sunday's only. Market is heavy on quality antiques and collectibles. Monthly rentals only. Restrooms. Ample parking. Snack bar. Air conditioned, h/a. c/p Alfred Delduco, 640 E. Baltimore Pike, 19317. (610) 388-1620. Famous Antique and Flea Market. 1495 Lincoln Way East. General line of antiques and collectibles, good seleciton. Primarily indoor antique shops with some outdoor space available. (717) 264-5916. Sunset Farmers Antiques & Flea Market. Sunset Drive-In Theater. Route 11. Ample parking. Antiques, furniture, collector lines in all nostalgia categories, quality decorator items, new and used merchandise, crafts, produce. Snack bar, restrooms, h/a. (717) 264-2855. Power House Antique and Flea Market. 45 First Ave. Route 29. Indoor market with approx 40 dealers. Lots of quality antiques and collectibles here. Restroom. h/a. c/p Janet McDonnell, (610) 489-7388. Dallastown Collectibles Mall. #1 W. Mall Street. Antiques, furniture, collector lines, quality decorator items, silver, fine jewelry, art pottery, glassware, art, prints, books. Snack bar. Inside and outside space from $7. Reservations required. c/p James Knisley. (717) 244-6394. Adam's Antiques & Collectibles Market. 2400 n. Reading Road.Pennsylvania Turnpike, exit 21, 1/2 mile north. Route 272. Antiques, lots of quality collectibles, Civil War items, art, prints, books, jewelry, silver, coins, glassware, dolls, primitives, art pottery. Food available, restrooms, h/a. Indoor and outdoor market, year round. c/p R. Vigilante, (717) 335-3116. Antique mall here is open daily, some very high grade antiques and collectibles. Flea market is on the weekend weather permitting. Barr's Antique World Auction. 2152 N. Reading Road. Route 272, and Penn Turnpike. Approximately 100 dealers. Good selection of quality decorator items, and fine antique European furniture. Very upscale & trendy merchandise here. Auctions are conducted here on Monday afternoon's starting at 4 pm. Lots of quality items and routine flea market junque on the auction block at this sale. Snack bar, restrooms, h/a. Reservations required for inside spaces; outside space is on a first come basis. Inside and outside spaces. Camping available on premises. c/p B. L. Barr. Box 242. 17517. (717) 336-2861. Hours 10am-5pm. Circle Drive In Flea Fair. Circle Drive In Theatre. 12 Salem Ave. (Route 6). I-81, Exit 57A. Hours: 7am to 4pm. Seasonal market open March through December. Admission charge. Ample parking. Average daily attendance 15,000. Approximately 500 dealers. This is a large, textbook classic, commercial market. A wide range here of new merchandise, used merchandise, antiques, collector lines, crafts, packaged food, country and Amish crafts. Produce, pets. Food available, restrooms, h/a and lots of walking. Space from $15. Camping available. Large well attended market. c/p Michael Delfino, 12 Salem Ave, Carbondale, PA 18407. (570) 876-1400. Fax: (570) 282-7299. Antiques, Crafts & Flea Market. Douglas Commons Trade Square. Route 422 and Maple Drive. Free adm. Ample parking. Good selection of nice antiques, country and Amish crafts, and general flea market merchandise. Food available, restrooms, h/a. (215) 385-3061. Old Sled Works Flea Market. 722 N. Market Street. 15 miles northwest of Harrisburg, off routes 22 & 322 or 11 & 15. Antique and collectible market with a great selection of locally made crafts. Approx 125 dealers. Market features an authentic 150's soda fountain, a sled museum and old time penny arcade with over 50 machines. Restrooms, ample parking, h/a. Seasonal market, closed during winter. Duncansville Antique Depot. 1401 Second Avenue. Rt. 22 & 764. Antique Mall and flea market. Mall is open daily 9-5 and flea market is open Sat & Sun 9-5. Both markets are heavy on antiques and collectibles. Antique mall has approx 200 antique dealers and flea market has approx 250 dealers. Space from $30. Per weekend inside and $12. outside. H/A, ample parking, restrooms, cafe. c/p tom George, Box 111, 16635. (814) 696-4000 or (800) 281-4001. Green Dragon Farmers Market. 955 N. State Street. (Route 272.) Hours 9am-10pm. Parking is a nightmare. Indoor/outdoor market with approximately 250-300 dealers. Wide variety of merchandise, crafts, antiques, food, bakery, etc. Unusually strong attendance for this market. Excellent one day affair. Auction on Friday with livestock and housewares. This is a "don't miss" market. Lots of walking is required to see to see it all, so dress comfortably. Great food, restrooms, h/a. Take this writer's word for it, The Green Dragon Market is definitely worth the stop. Space from $25. c/p Green Dragon, 955 N. State St. 17522. (717) 738-1117. Zerns Farmers Market. Route 73. Hours Friday 2am-10pm, Saturday 11am-10pm. Parking can be difficult. Indoor and outdoor market with approximately 350 dealers. Antiques, collectibles, memorabilia, primitives, crafts, new and used furniture. Several specialty shops. Lots of treasures here. Market located in the heart of Amish Country. Shops, restaurant open daily. Greatest Shoo-fly pie in the area is served here. Space from $25. Reservations required. This is an all day and can easily be a two day stop. c/p Zens, Rt. 73. 19525. (610) 367-2461 or 367-2899. Warsaw Flea Market. Route 28. Approximately 1 mile North of Hazen. Market opens at daylight. Free adm. Ample paid parking. Approximately 300 dealers. Space from $15. Average daily attendance 10-12,000. Outdoor market. Market mainly consists of antiques, collectibles, primitives and produce. Food, restrooms, h/a. This is a classic country market that takes one back 100 years. Clean, friendly, well managed. Overnight parking available. Market open May through October. c/p Warsaw Volunteer Fireman's Assn, Rt 1 Box 76C, 15825. (814) 328-2536 or 328-2528. Frog Hollow Flea Market. North Highway 72. Indoor market. New & used merchandise, some collectibles. Snack bar, restrooms, ample parking, h/a. Open 8am until 3pm. (717) 865-0799. Latrobe Flea Market. Route 30 at Shopping Plaza. Ample paved parking. Approximately 125 vendors. Antiques, collectibles, sportscards, silver, coins, vintage clothing, used merchandise, garage sale items, new merchandise. Snack bar, restrooms, h/a. Space from $12. c/p Carol Craig, 640 Diamond Ave. Indiana, PA 15701. (412) 837-6881. Sunset Flea Market. 1650 N. 7th Street. (7 miles off Routes 22 & 78 on 343 South. Outdoor market that opens at daylight and goes until ??. Market has new black top and is one of the area's largest markets. Good variety of merchandise here. Food vendors can sell at this market with prior reservations. Regular spaces from $7. Food vendors from $25. Restrooms, ample parking, h/a and good variety of food. c/p Ardy, (717) 273-2516. Leesport Farmers Market and Auction. Route 61, 7 miles north of Redding, or 6 miles south of interstate 78 on Route GI north end of town. Hours Wednesday 7am-3pm, Sunday 9am-8pm. Average attendance 5,000. Market averages 250 dealers. Large, well established, classic "old time" market. Lots of crafts and collectibles at this market. Great market for Pennsylvania Dutch items. Market conducts many special events. It also holds a weekly livestock auction. Outdoor and indoor spaces from $10. c/p Bill Weist, P.O. Box 747, 19533. (610) 926-1307. Old Mill Flea Market & Antiques. Off Route 7. Off Graystone Road. Ample parking. Average attendance 5,000. Approximately 70 dealers. Antiques, furniture, collectibles, art, books, Civil War items, fine jewelry, quality decorator items, used merchandise, country crafts and collectibles. Good food available, restrooms, h/a. Space from $10. c/p Carol Headings, Rt. 7, Box 110. 17545. (717) 898-7443 or 898-8591. Root's Country Market and Auction. 705 Graystone Road. Off Route 7. Hours: 9am to 9pm. Ample parking. Indoor/outdoor market with approx 200 dealers. Antiques, collectibles, lots of used and garage sale items. Good food served here. Restrooms, h/a. c/p Thomas Longnecker, 705 Graystone Rd, 17545. (717) 898-7811. Pocano Antique Bazaar & Flea Market. Route 209, North, exit 52 on I-80, North 5 miles on US 200. Hours 9am-5pm. Average daily attendance 5,000. Ample parking. Antiques, collectibles, crafts, art, new and used merchandise. Snack bar, restrooms, h/a. 300 outdoor spaces, 200 indoor spaces. Space from $25. c/p Kevin Hoffman, Box 248, 18335. (717) 223-8640. R & J Flea World. I-80 at exit 52. Hours: 9am to 5pm. Ample parking. Indoor/outdoor market with approx 500 dealers. Large commercial market. Antiques, collectibles, lots of new merchandise, used merchandise, produce, locally made crafts, gifts, imports. Space from $25. Average atten 20,000 daily. c/p Ruth tiburzi, Box 1221. 18335. (717) 223-0690. McKey's Rock Plaza Shopping Center Flea Market. Ample parking. Average attendance 10,000. Approximately 150 dealers. Antiques, collectibles, new and used merchandise, garage sale items, crafts. Food available, restrooms, h/a. Open April through October. Space from $7 plus $5 city tax. c/p Wyette Isaacson. 1236 S. Megley Ave., Pittsburg, PA 15217. (216) 521-9127. Antiques Fair. Racetrack. I-79, Exit 8. 25 miles South of Pittsburgh. Ample paved parking with lots of walking. Approximately 700 vendors. Great market for antiques and quality collectibles. Lots of food, restrooms, h/a. (412) 228-3045. Colonial Valley Flea Market. Route 116. Ten miles west of York. Hours 8:30am-4:30pm. Ample parking. Antiques, collectibles, crafts, new and used merchandise. Market has petting zoo. They also hold several antique and classic car shows, call for schedule. Indoor/outdoor market. Space from $8. outside & $10. inside. c/p Betty Staines, Box 34. Menges Mills, PA 72346. (717) 225-4811 or (410) 472-2701. Saturday Market. 3751 E. Harrisburg Pike. Route 230. Hours 5:30am-6pm. Free adm. Ample parking. Average weekend attendance 10,000.Indoor/outdoor market with approximately 300 dealers. New and used merchandise, sportswear, imports. Also, antiques, collectibles, advertising items. Snack bar, restrooms, h/a. One of the area's larger markets. Space from $11. Outside. Reservations recommended for inside space. c/p Rod Rose, 3751 E. Harrisburg Pike, 17507. (717) 944-2555. Clocktower Plaza Flea Market. Clocktower Plaza. Junction of Routes 10 and 23. Pennsylvania Turnpike, Exit 22. Indoor/outdoor market. (610) 286-0611. Antique Shows & Flea Market. Route's 191 & 248. Ample parking. Approximately 200 dealers. Nice selection of antiques, and collector lines, glassware, furniture, silver, coins, military and Civil war memorabilia, art, prints, books, primitives, crafts, decorator items. Food available, restrooms, h/a. Inside and outside space available. c/p Al Loquasto, (215) 865-3880. Michelangelo's Flea Market. Route 422, 5 miles West of town. Hours 6 am-3 pm. Ample parking. Indoor and outdoor market Great selection of food here, restrooms h/a. Space from $5. Open Saturdays (7-1) from March through December. Rice's Market Place. 6326 Green Hill Road. Hours 7:00am-1:30 pm. One of the east coast's larger and finer weekday markets. If you have the time to spend the day walking past the 100's of booths you will find what you are looking for. The Golden Carriage Flea Market. Highway 305. 5 miles east of Gettysburg. Antiques, collectibles, Civil War items, farm and country collectibles, used merchandise, decorator items. Food available. Flea Market. Highway 94. Ample parking. New and used merchandise, collectibles, antiques, furniture, art, prints, books, jewelry. Indoor Market. Snack bar, restrooms. (717) 624-2362. Leighty's Flea Market. Route 220, two miles South of Altoona. Hours 7am-5pm. Antiques, collectibles, primitives, crafts, new and used merchandise, housewares. Large farmers market here. 29 acres inside and outside space. Space from $8. Good food here, restrooms, h/a, camping. c/p Leighty's, Rt. 220. 16665. (814) 695-9120 or 695-5151. Fax: (814) 696-8543. Neshaming Flea Market. New and used merchandise, garage sale items, collectibles, home furnishings, household goods, imports, crafts, produce. Food available. (215) 364-1311. Wrights Flea Market. Route 10. Collectibles, used merchandise, garage sale items,imports, gifts, clothing & fashion accessories, farm items, crafts, produce. Food available. (215) 857-9660. Paxino's Flea Market. Junction of Route's 61 and 487. 3 miles from Koebel's Amusement Park. Lots of parking. Approximately 200 dealers outside and 25 inside. Good mix of merchandise here, antiques, collectibles, new and used merchandise, crafts, country collectibles. Nice snack bar, restrooms, h/a. Indoor/outdoor market and some covered spaces. Space from $5. (717) 648-9695. Perkiomenville Flea Market & Auction. Route 29. Ample parking. Approximately 300 dealers. Large and varied selection of antiques, furniture and collector lines. Fine decorator items, jewelry, Civil War items, art, books, prints, country primitives and Victorian era finds, advertising items, imports, reproductions. Food available, restrooms, h/a. Inside and outside space available from $8-10. Camping on premises. One of the area's better markets. c/p Robert Landis, Box 14, 18074. (215) 234-4733. Quaker City Flea Market. Tacony and Comly Streets. Two blocks south of the Tacony/Palmyra Bridge. Hours 8am-4pm. Ample parking. Approximately 200 dealers. Crafts, antiques, books, collectibles, good jewelry carried here. Also, produce and wide selection of new merchandise. Inside and outside space available from $20. for used items and $25. per day for new merchandise. c/p Jim Aiello, 5001 Comly St.19135. (215) 744-2022. Wildwood Peddlers Village. 2330 Wildwood Road. Hours 6am-4pm. Ample parking. Average daily attendance 5-8,000. Approximately 300 dealers. Lots of antiques, collectibles and a good mix of new merchandise. Good food, clean restrooms, h/a. Area's best market for commercial vendors. Space from $12. Inside and outside space. Overnight parking. c/p George Rutledge, 2330 Wildwood Rd, Wildwood. 15091. (412) 487-2200. 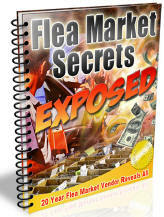 Flea Mart. Washington County Fairgrounds. Ample parking. New and used merchandise, garage sale items, home furnishings, house wares, farm items, tack, collectibles, crafts, produce. Food available. Restrooms, h/a. (412) 361-9272. Pulaski Flea Market. Route 551. Hours 5am-1pm. Ample parking. Average attendance 2000. Approximately 100 dealers. Antiques, crafts, art, collectibles, new and used merchandise. Lots of Amish crafts and food here. Indoor/outdoor market. Space from $4. c/p Lyle Koening, 130 Valhshla Dr. New Castle, 16105. (412) 658-4923 or 654-4012. Since 1932 an Upper Bucks County shopping tradition. 1 mile East of Route 309 on Station Road. Open year round, Friday and Saturday 9am - 9pm, Sunday 10am - 5pm. Shop 150 unique Farmers Market Departments, 100 Indoor Flea Market and 450 Outdoor Flea Market Vendors. 7 Day Discount Grocery. Walk in Bingo. Weekly Specials, events, coupons and much more. Free parking for over 2,000 cars. Clean modern rest rooms. Newly remodeled. Shop in heated, air conditioned and smoke free comfort. 201 Station Road, Quakertown, PA 18951. The Original Renninger's Market. Flea Market and Farmers Market. (717) 336-2177 or (215) 267-2177. Circle Flea Fair. Adm charge. Circle Drive In Theater. Route 6. Scranton-Carbondale Highway. Hours 7am-4pm. Ample parking. Average daily attendance 10,000. Approximately 400 dealers. This is a very clean market with an excellent variety of vendors and items. Good food, clean restrooms, h/a. Market open March-December. Outdoor market. Space from $15. Camping nearby. (717) 876-1400 or 489-5731. Rices Sale & Country Market. Green Hill Road. New and used merchandise, housewares, children's items, clothing. Collectibles, crafts, produce. Food available. Indoor and outdoor spaces. (215) 297-5808. Mertz Flea Market. Route 30. 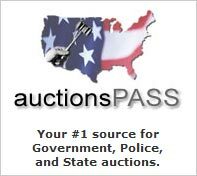 Used merchandise, garage sale items, collectibles, home furnishings, house wares, imports, clothing, farm items, sports memorabilia, crafts, produce. Food available. Halls Antique Flea Market. Route 93. Approximately 90 dealers. Antiques, good assortment of collector lines, Civil War items, books, art, prints, jewelry, coins, silver, glassware, art pottery, country primitives, Victorian era finds, crafts. Food available. (717) 788-1275. Hometown Farmers & Flea Market. Route 54. Hours: 8am to 8pm. Ample parking. Average daily attendance 7,500. Approximately 200 dealers outside and 100 inside. Large classic country market with lots of country and farm collectibles, antiques, a good variety of collector booths. Crafts, gifts, souvenirs, decorator items. Indoor/outdoor and covered spaces. Space from $25. Food available, restrooms, h/a, camping nearby. c/p Robert Dunn,rt. 1, Box 1371, New Ringold, PA 17960. (717) 668-2630. 309 Market Place. Route 309 & Route 54, 2 miles North of town. Used merchandise, new merchandise, household goods, home furnishings, decorator items, crafts, collectibles, produce. Food available. (570) 668-2630. Blue Mountain Flea Market. Route 309 South. Collectibles, crafts, used merchandise, garage sale bric-a-brac, souvenirs, imports, clothing, country primitives. Food available. (570) 386-2034. Pocono Peddler Village. Route 611 & I-80, Exit 45. Hours 9am-5pm. Ample parking. Average daily attendance 2,000. Approximately 60 dealers with most signed up on monthly booth rentals. Nice market with lots of collectibles, small antiques, good selection of arts and crafts items. Snack bar and restrooms with camping nearby. Indoor/outside market. space from $5. per day outside. Market open all year inside. c/p Ralph Reifinger, Route 611, Tannersville, PA 18372. (717) 629-6366. Flea Market. South Keyser Avenue. Antiques, collectibles, farm items, bric-a-brac, home furnishings, housewares, imports, tools, electronics, toys and children's goods, crafts. Food available. (717) 347-3996. Flea Market. 136 E. Main Street. New and used merchandise, collectibles, silver, jewelry, crafts, country collectibles. Indoor market. Snack bar. (717) 735-2955. Al's Flea Market. 37 Woodside Drive. 15301. Hours 9am-3pm. Ample parking. New and used goods of all kinds. Imports, sportswear, collectibles, jewelry, home furnishings, crafts. (412) 228-1119. Flea Market. Fairgrounds. Ample parking. A Bargain hunters haven with booths full of new and not so new merchandise of every price and description. Housewares, clothing, tools, electronics, imports, antiques and collectibles. (412) 225-0961. Mentzers Antique Flea Market. Route 18 at I-80. I-80, Exit 1N. Hours 9am-5pm. Ample parking. Approx 75 dealers. Market located in heart of Amish country. Good selection of antiques, collectibles, glassware, silver, primitives, advertising items, antique toys. Great selection of Amish and Pennsylvania Dutch items, crafts and food. Good food, restrooms, h/a. Outdoor and indoor market with space available from $30. c/p Fred Mentzer, 101 N. Sharon Rd. 16159. (412) 528-2300.